Interested in having Matt visit your school for a live show? See below for details. There is a fee for the show. Please email for details. Number of students and ages who would attend the Matt live show. Any other information you would like to share regarding a show. We are not able to accept all invitations, and will let you know if it is possible to do a show in your area after receiving your email. Please allow up to 2 business days for a response. 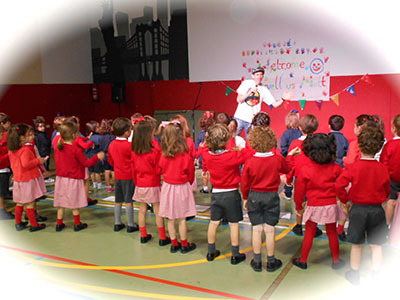 Matt performing at a school in Madrid, Spain. June 2015.